"... 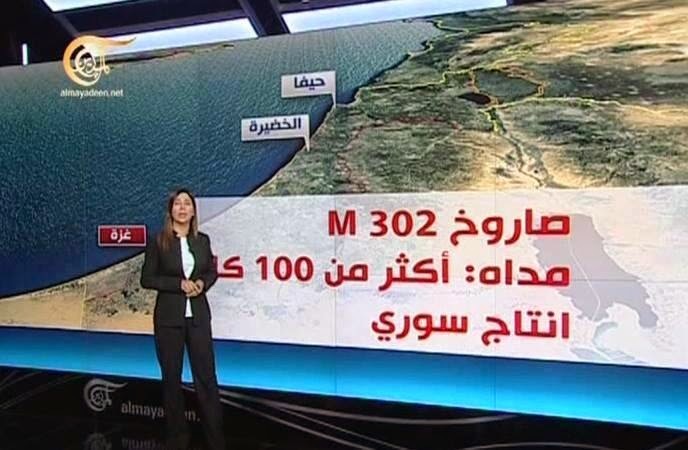 The long-range Hamas rockets that reached Hadera 110km north of Gaza Tuesday, July 8, have been identified as the Syrian-made M-302 Khaibar missile, that was used by Hizballah against Israel in the 2006 Lebanon war to pound Haifa. This weapon uses Iranian technology deriving from the Chinese WS-1 which has a 175 kilo warhead. Hizballah engineers posted in the Gaza Strip have since helped Hamas improve the M-302 and extend its range and accuracy. But still, even after improvements, the M-302’s main shortcoming is its lack of precision..."